I would recommend it to anyone who is wondering whether to purchase or not. My Sweetheart surprised me with it!! This ring is truly beautiful. When I first got it, I thought it was too light & white in color, but as I kept wearing it, I changed my mind & now think it is just right! and the USPS who lost the ring and I was afraid I wouldn't get the ring in time. So I contacted Stauer customer service who sent me another ring first Class mail and the ring was here in time. I can't say enough good about this company who bent over backwards to make sure I was satisfied. You have a romance worthy of a ring that represents your commitment to one another. Our Infinity Ring is just that symbol. We’ve set two- 1-¼ carat beauties side by side in sterling silver. Two perfect round stones that join together just like your love and commitment joins with hers. Putting a big fat price tag on love is the most unromantic thing we can think of. So, we found a way to capture your endless love without endless payments. Once, you could only get the sparkle and fire of a natural diamond under perfect geological conditions. You needed ungodly heat and intense pressure. And then you had to wait a million years for nature to take its course. We knew there had to be a better way. That's why over the past ten years we've invested close to $6 million developing the science for recreating the look of natural mined diamonds. Now you get to reap the rewards. 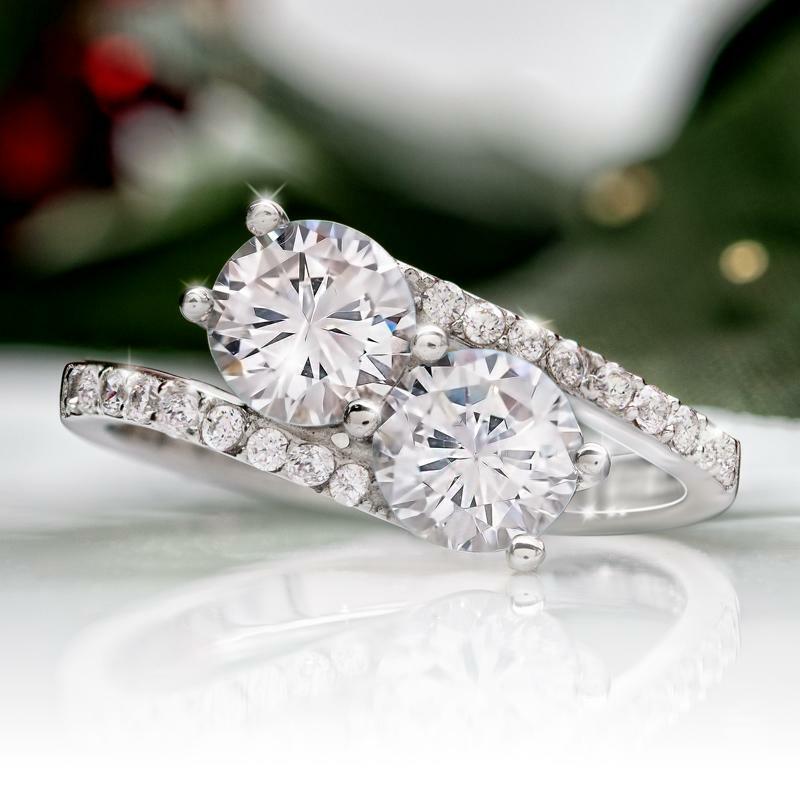 Stauer's exclusive, DiamondAura® jewelry delivers more stunning fire and clarity than natural diamonds for a fraction of the price. That means you can bring home the breathtaking sparkle, without the breathtaking price.